Call us at 888.400.4ETF (4383) if you have questions or would like additional information about PIMCO ETFs. The PIMCO Active Bond Exchange-Traded Fund (Ticker: BOND) is a diversified portfolio of high quality bonds that is actively managed, seeking current income and long-term capital appreciation, consistent with prudent investment management. BOND invests primarily in investment grade debt securities, and discloses all portfolio holdings on a daily basis. The Fund will seek to maintain a fairly consistent level of dividend income, and generally seeks to manage capital gain distributions. However, there can be no assurance that a change in market conditions or other factors will not result in a significant change in the Fund’s distribution rate or that the rate will be sustainable in the future. With a primary benchmark of the Barclays U.S. Aggregate Index, the fund offers a core bond strategy that is designed to capitalize on opportunities across multiple sectors of the fixed income market. 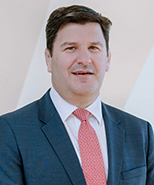 Mr. Braun is a managing director and generalist portfolio manager in the New York office. Mr. Braun joined PIMCO in 2009 and is head of the U.S. financial institutions group (FIG) and stable value portfolio management teams. 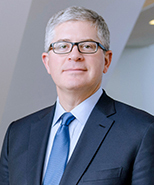 He is also a senior member of both the liability-driven investment and the U.S. core portfolio management teams. He oversees management of fixed income investment portfolios for institutional and retail clients. Mr. Braun has 25 years of investment, risk management (including chief risk officer of a large investment company) and actuarial experience. He holds an undergraduate degree in mathematics from the University of Connecticut. He is also a Fellow of the Society of Actuaries and a certified Financial Risk Manager. Mr. Schneider is a managing director in the Newport Beach office and head of short-term portfolio management and funding. Morningstar named him Fixed-Income Fund Manager of the Year (U.S.) for 2015. Prior to joining PIMCO in 2008, Mr. Schneider was a senior managing director with Bear Stearns. There he most recently specialized in credit and mortgage-related funding transactions and helped develop one of the first "repo" conduit financing companies. Additionally, during his tenure at Bear Stearns he held various positions on the municipal and fixed income derivatives trading desks. He has 23 years of investment experience and holds an undergraduate degree in economics and international relations from the University of Pennsylvania and an MBA from the Stern School of Business at New York University. Mr. Hyman is a managing director and head of the agency mortgage portfolio management team in the Newport Beach office. He is the lead portfolio manager on PIMCO's Ginnie Mae and Mortgage Opportunities Strategies. Mr. Hyman and team have been recognized by Lipper for their long-term performance on both of these flagship mortgage strategies. Prior to joining PIMCO in 2008, Mr. Hyman was a vice president at Credit Suisse, where he traded agency pass-throughs. He has 16 years of investment experience and holds an undergraduate degree from Lehigh University. Bloomberg Barclays U.S. Aggregate Index represents securities that are SEC-registered, taxable, and dollar denominated. The index covers the U.S. investment grade fixed rate bond market, with index componentsfor government and corporate securities, mortgage pass-throughsecurities, and asset-backed securities. These major sectors aresubdivided into more specific indices that are calculated andreported on a regular basis. It is not possible to invest directly inan unmanaged index. **The Top 10 Exposures represent the Fund’s ten largest exposures excluding currency positions. PIMCO pulls each security's yield to maturity from PIMCO's Portfolio Analytics database. When not available in the PIMCO's Portfolio Analytics database, PIMCO pulls the security's yield to maturity from Bloomberg. When not available in either database, PIMCO will assign a yield to maturity for that security from a PIMCO matrix based on prior data. In general, the calculation will incorporate the yield based on the notional value of all derivative instruments held by a Fund. Performance quoted represents past performance. Past performance is not a guarantee or a reliable indicator of future results. Current performance may be lower or higher than performance shown. Investment return and principal value will fluctuate, so that Fund shares may be worth more or less than their original cost when sold. Performance data current to the most recent month-end is available by clicking HERE or by calling 888-400-4ETF. Investors should consider the investment objectives, risks, charges and expenses of the funds carefully before investing. This and other information are contained in the fund’s prospectus, which may be obtained by contacting your PIMCO representative or by clicking HERE. Please read the prospectus carefully before you invest. 1The Total Expense Ratio excluding interest expense is 0.55%. Interest expense can result from portfolio investment transactions and is not paid to PIMCO. Investments made by a Fund and the results achieved by a Fund are not expected to be the same as those made by any other PIMCO-advised Fund, including those with a similar name, investment objective or policies. A new or smaller Fund’s performance may not represent how the Fund is expected to or may perform in the long-term. New Funds have limited operating histories for investors to evaluate and new and smaller Funds may not attract sufficient assets to achieve investment and trading efficiencies. A Fund may be forced to sell a comparatively large portion of its portfolio to meet significant shareholder redemptions for cash, or hold a comparatively large portion of its portfolio in cash due to significant share purchases for cash, in each case when the Fund otherwise would not seek to do so, which may adversely affect performance. In order to provide additional information regarding the intra-day value of shares of the Fund, the NYSE Arca, Inc. or a market data vendor disseminates every 15 seconds through the facilities of the Consolidated Tape Association or other widely disseminated means an updated Indicative NAV (“iNAV”) for the Fund as calculated by an information provider or market data vendor. The Fund is not involved in or responsible for any aspect of the calculation or dissemination of the iNAV and makes no representation or warranty as to the accuracy of the iNAV. Net Asset Value (NAV) represents an ETFs per-share value. The per-share value of an ETF is calculated by dividing the total value of the securities in its portfolio, less any liabilities, by the number of ETF shares outstanding. ETF shares are valued as of the close of regular trading (normally 4:00 P.M. Eastern Time) (The “NYSE Close”) on each business day. The Net Asset Value (NAV), Shares Outstanding and Total Net Assets are calculated as of the close of regular trading on each day that the NYSE Arca is open, and do not reflect security transactions or fund shares created or redeemed on the date stated. Such transactions are recorded on the next business day and reported on the website the following business day. Returns are average annualized total returns, except for those periods of less than one year, which are cumulative. Market returns are based upon the midpoint of the bid/ask spread at 4:00 pm Eastern time (when NAV is normally determined for most Funds), and do not represent the returns you would receive if you traded shares at other times. A Word About Risk: Investing in the bond market is subject to certain risks including the risk that fixed income securities will decline in value because of changes in interest rates; the risk that fund shares could trade at prices other than the net asset value; and the risk that the manager's investment decisions might not produce the desired results. Investing in foreign denominated and/or domiciled securities may involve heightened risk due to currency fluctuations, and economic and political risks, which may be enhanced in emerging markets. Mortgage and asset-backed securities may be sensitive to changes in interest rates, subject to early repayment risk, and their value may fluctuate in response to the market’s perception of issuer creditworthiness; while generally supported by some form of government or private guarantee there is no assurance that private guarantors will meet their obligations. High-yield, lower-rated, securities involve greater risk than higher-rated securities; portfolios that invest in them may be subject to greater levels of credit and liquidity risk than portfolios that do not. Derivatives may involve certain costs and risks such as liquidity, interest rate, market, credit, management and the risk that a position could not be closed when most advantageous. Investing in derivatives could lose more than the amount invested. Diversification does not ensure against loss. Fund Distributions: The distribution yield for monthly paying Funds is calculated by annualizing actual dividends distributed for the monthly period ended on the date shown and dividing by the net asset value on the last business day for the same period. The distribution yield for quarterly paying Funds is calculated by taking the average of the prior four quarterly distribution yields. The quarterly distribution yields are calculated by annualizing actual dividends distributed for the quarterly period ended on the most recent quarterly distribution date and dividing by the net asset value for the same date. The yield does not include long- or short-term capital gains distributions. The Fund distributes substantially all of its net investment income to shareholders in the form of dividends. Dividend payments are made through DTC participants and indirect participants to beneficial owners then of record with proceeds received from the Fund. No dividend reinvestment service is provided by the Trust. Financial intermediaries may make available the DTC book-entry Dividend Reinvestment Service for use by beneficial owners of Fund shares for reinvestment of their dividend distributions. Beneficial owners should contact their financial intermediary to determine the availability and costs of the service and the details of participation therein. Financial intermediaries may require beneficial owners to adhere to specific procedures and timetables. If this service is available and used, dividend distributions of both income and net capital gains will be automatically reinvested in additional whole shares of the Fund purchased in the secondary market. Premiums or discounts are the differences (expressed as a percentage) between the NAV and the Market Price of the Fund on a given day, generally at the time the NAV is calculated. A premium is the amount that the Fund is trading above the reported NAV, expressed as a percentage of the NAV. A discount is the amount that the Fund is trading below the reported NAV, expressed as a percentage of the NAV. The since inception premium/discount average is calculated by averaging the daily premium/discount since the inception of the fund. The daily premium/discount is the difference between the daily market price for shares of the Fund and the Fund's net asset value. The market price is determined using the midpoint between the highest bid and the lowest offer on the listing exchange, as of the time that the Fund's NAV is calculated.